Overwatch is one of the newer eSports and as such the competitive scene is not yet fully formed. Still, bookmakers are occasionally taking bets, so learning how you can bet could be a very lucrative opportunity. Though relatively new on the gaming scene, Overwatch promises a breakthrough with a set of fantastic gameplay options, diverse characters and widespread compatibility. Along with that, it promises some great betting opportunities for all those who are attracted by this game. Overwatch betting is still in the very early stages, as the number of tournaments is relatively small and many of them are free for anyone to enter. Overwatch is Blizzard Entertainment´s multiplayer first-person shooter game which was released in May 2016 for Microsoft Windows, PlayStation 4, and Xbox One. Even though the game is available for both PC and consoles, the cross-platform play is not enabled, which in turn allows for the creation of two separate competitive scenes. It is a game where two teams of six players fight against each other, controlling their heroes, who can perform as one of the four classes. These characters can be switched during the match. The wide plethora of characters in Overwatch, each of whom is unique in his own way, differentiates Overwatch from other FPS games. Each of the 21 characters has a great unique set of abilities, each usually being able to perform two regular and one special ability. Players of one team cooperate and help each other to defeat the enemy team. All players are able to get cosmetic rewards, like skins or victory poses, which do not affect their gameplay afterwards. At the beginning, the game was meant for casual players, but soon after Blizzard launched the option for competitive playing. However, the game is free, and Blizzard insists that it continues to be that way. Overwatch’s development was started when Blizzard’s Titan project fell through in 2014. Titan was a massive, ambitious project of a multiplayer RPG which was in the works for 7 years prior to being cancelled. Blizzard´s co-founder Michael Morhaime stated they did not think this game will be a great hit. Therefore, they turned to a completely new project which was finished within the next two years. Since it is a pretty new game, the professional aspects of the game still remain to be fully developed. There are some professional players who included this game into their rotatio. Since then, some of these professional players criticised the games modes and functions, leaving the impression that this game indeed should be only for casual players. However, in June 2016, ESL, one of the greatest eSports organizers, announced that the first international Overwatch competition, called Overwatch Atlantic Showdown will be held in August 2016. It was also stated that anyone can reach the international competition through the four open qualifiers, followed by regional qualifiers and final online qualifier. The final eight teams were set to play it off live at the Gamescom 2016. At this time, most of these competitive Overwatch tournaments are open and free for all interested players to register and play. Other games, like those that have been around for a while, like CS:GO, League of Legends and Dota 2 have much tighter competition and, therefore, a much tougher way to the top. Considering all other elements, prize pools for Overwatch are pretty low, and many of these tournaments have $1,000 dollar prize pools, which is not even close to the prize pools of other popular games. The greatest tournament by now had a prize pool of $10.000 where the winner won $5000. Some tournaments award the players with coupons instead of actual money. It was already mentioned that the Overwatch scene is significantly smaller than the other gaming scenes. This subsequently offers a smaller number of bets. Even the existing bets are unstable, with limited number of Overwatch betting possibilities. There are no leagues formed up to this date, which makes it harder to place bets on a regular basis. Even if there is a tournament, you cannot be certain it is hard to decide who to bet on as there are so many players and the competitions are completely open. Still, this makes it difficult on the bookies as well and those who truly know the game can surely establish an edge against the house by watching the players as they prepare for the tournament and during the early stages of the tournament. How To Get Started With Overwatch Betting? 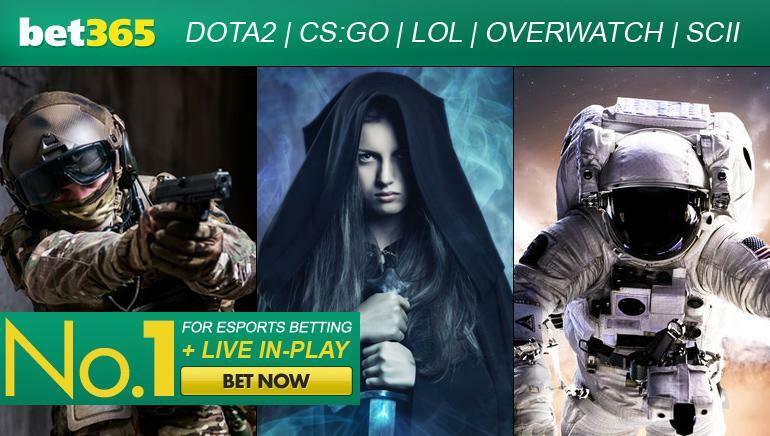 The most popular betting sites have many eSports in their offer. These sites include various betting opportunities, where you can bet with real money, and even if you do not feel like spending a lot of money on bets you can consider fantasy bets. The later one, allows you the option to pick specific players. Just like in other bets your winnings depend on how the players you picked perform during their games. Therefore, you create a new, fantasy team that consists of players that you picked according to their skills. At this time, Overwatch fantasy betting is inadequate for bettors, but there are certain hints that it should be introduced very soon in the future. Placing the bets the traditional way is the only way you will get to bet Overwatch for the time being. This betting format is already well-known to all bettors who place their bets on real sport or eSports teams and players. You can place a certain amount of real money on the team you expect will win. The first thing that should be considered is to learn the facts about the competitive landscape. This can help in both becoming a better player and bettor. In order to do so, it is the best if you can follow the best teams and players. At the moment Cloud9, EnVyUs, REUNITED and Rogue are considered to be the best teams of Overwatch. The market will grow for sure and if you get involved with the scene now, it is likely you will have a massive betting edge when the market does boom.